About Product : A breezy friend by your side..gushing through the chekered spaces it will tickle you everytime with a sweet laugh.. popping out the colors of exhilaration.. fluttering higher with ease.. an ease which is your own..
One of the finest Indian hand woven textiles is traditional Kota Doria, this almost weightless textile is very popular for its gossamer feel, sheerness and corded texture. 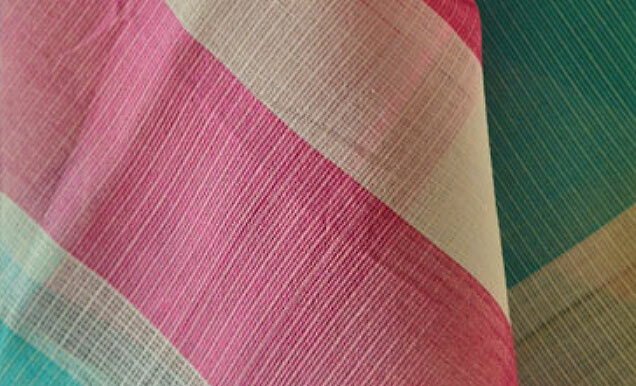 It is woven in few villages of Kota, Bundi and Baran districts of Rajasthan. It is believed that in 18th century Maharao Bhim Singh, a general in Mughal army brought few weavers from Mysore and settled them in Kaithoon, a village nearby Kota and the sarees they wove came to be known as 'Kota-Masuria'. 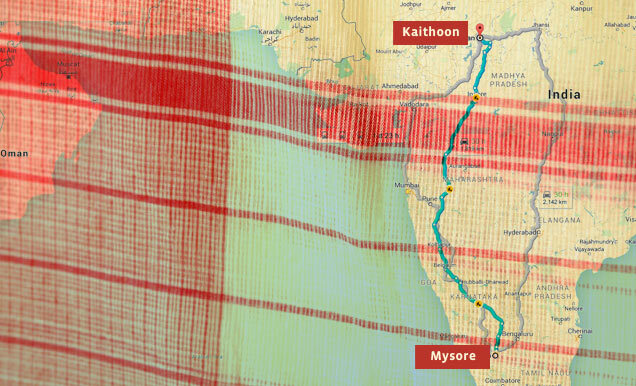 The tradition of weaving gradually died out in Mysore, but subsequently this craft flourished in Kaithoon. 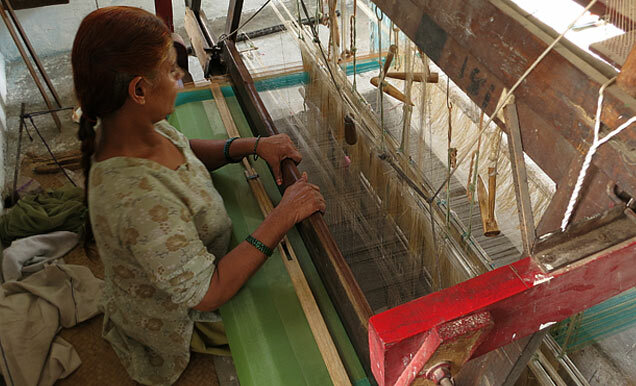 The art of weaving cotton in the open khat or check structure has been passed on from generation to generation here. 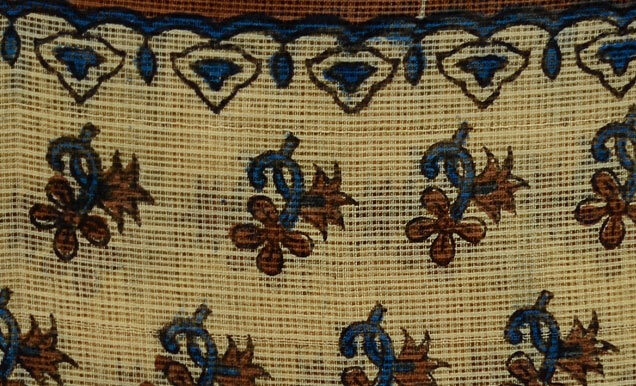 Khat is a recognizing characteristic of this craft that gives a unique squared check pattern to the textile, for which it is famous and is not found in any other textile. 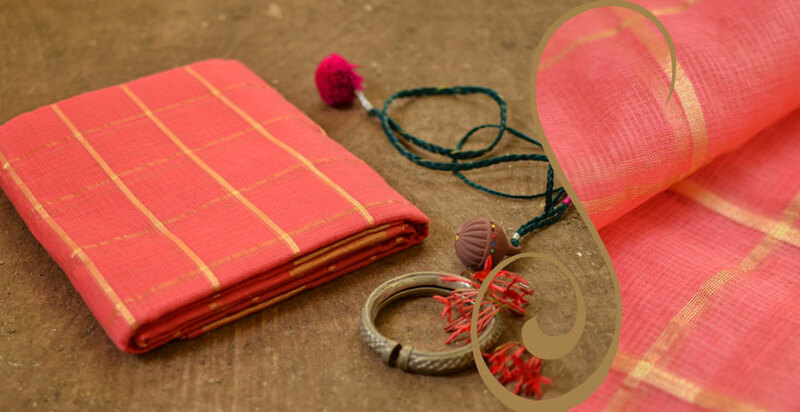 Innovations in this craft transformed the textile from plain turban cloth to saris designed in varied range of motifs. 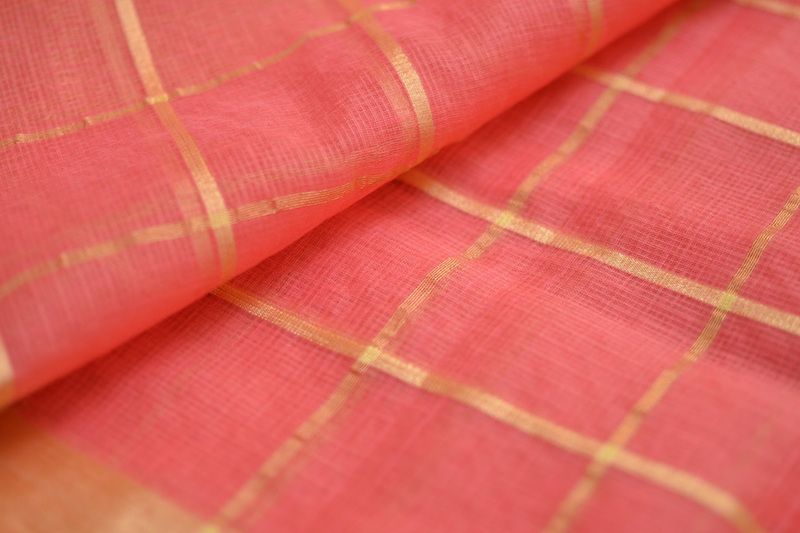 Additional richness was incorporated by use of embroidery and zari. 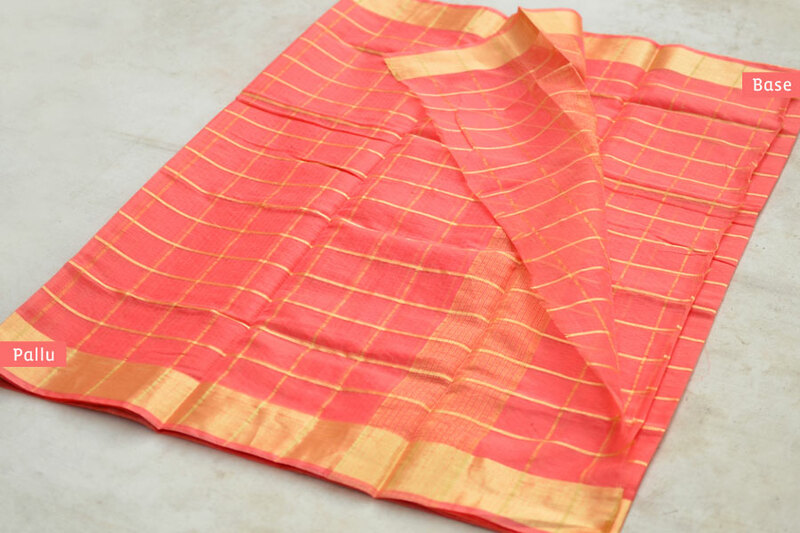 Cotton yarns in both warp and weft directions were replaced by silk and zari, vibrant rich colours along with naturalistic and stylized motifs gave a new variety to the craft, making the fabric more appealing. 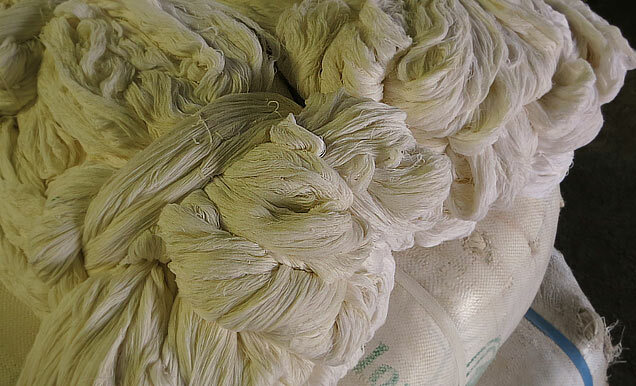 Cotton and silk act as raw material for Kota Doria. Raw material is obtained from Surat and other parts of the country in the form of hanks (‘lachhis’). Weaving of Kota Doria involves a simple pit loom that can be erected by the local carpenters of the villages and the technique of weaving is quite traditional. The throw shuttle technique, as it is called involves no gadgets to be used for the to and fro motion of the shuttles along the width of the fabric. The traditional Kota Doria is white in color but once dyed, the fabric come out in bright hues like pomegranate red, purple, bordeaux red, turquoise, lapis, turmeric yellow and saffron. The fabric forms an airy bright summer wear. Many accessories are also being done in Kota now a days, which include handbags, pouches and sashes embellished with Gotta Patti, Mukesh and Mirror work. 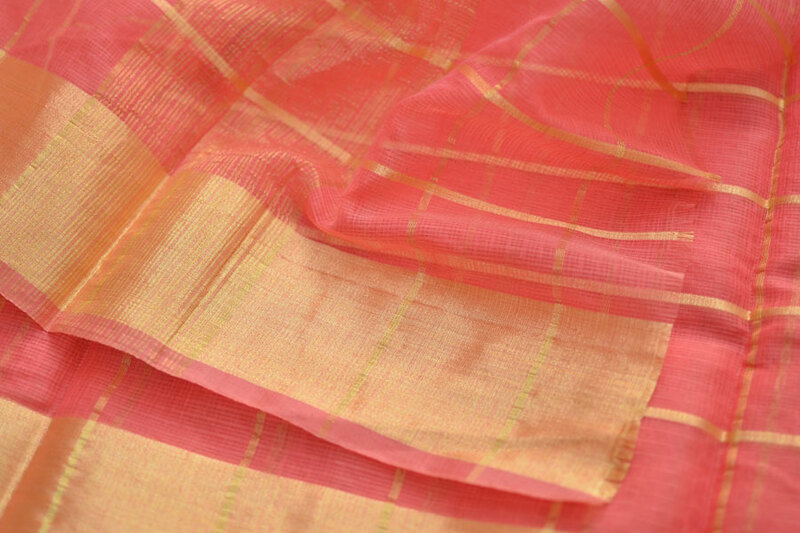 The Kota Doria saris carry a huge buy-back value for its customers due to the use of pure zari - gold plated silver yarn, that has been traditionally used in it. The tradition still continues, though there are many ways by which value addition is carried out during the course of weaving. The plain doria is put to various kinds of surface teatments such as block printing, batik, embroidery etc. outside the cluster. This coming together of two or many craft techniques makes the product richer, not just in its material value but also in the stories that are formed by interaction of distinct cultures. Note The items in this category are not refundable but you may exchange this product with any other product from this category. 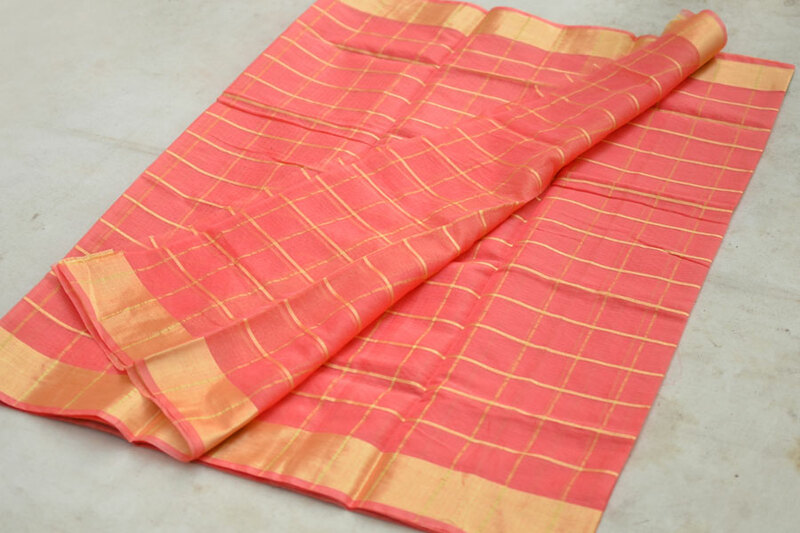 One of the finest Indian hand woven textiles is traditional Kota Doria, this almost weightless t..